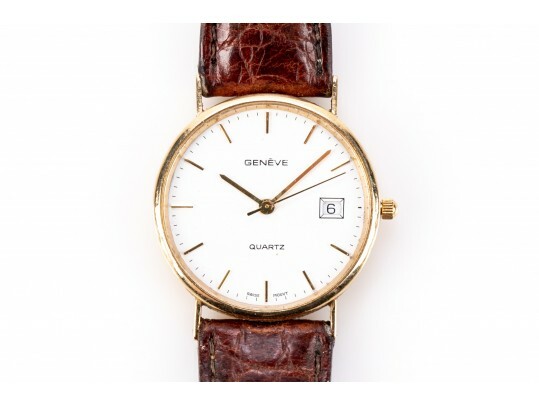 Classic elegant Geneve quartz movement watch in yellow gold case with white dial having date window, gold hands and 12 gold stick numerals. Brown embossed leather band. 1/4” scratch to crystal at 12 o’clock shown in last photo. Band has wear.